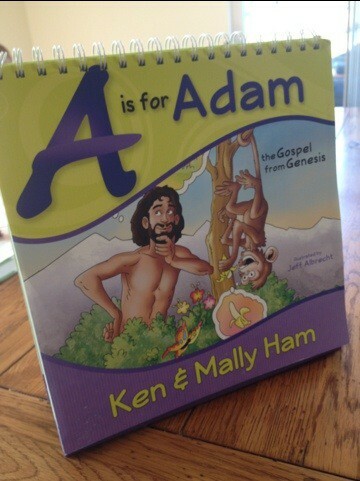 You can tell from the pictures that the revised edition of A is For Adam by Ken and Mally Ham is very bright and colorful! 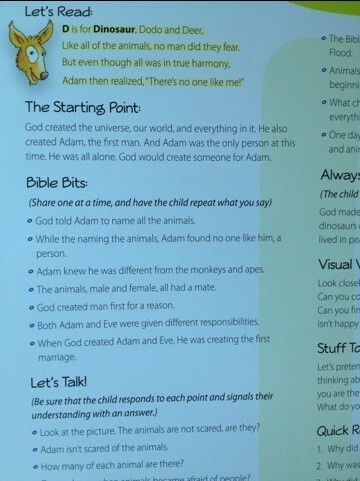 My children were immediately captivated by the illustrations and wanted to know “What’s that Mommy?” A Is For Adam is an alphabet book designed to to teach some basic concepts about Creation from a Young-Earth Creationist point of view and also point out fallacies in the theory of evolution. Each letter of the alphabet has an illustration and a teaching page with a rhyme, Bible points, questions to talk about, and suggested activities to do with your child. The new book is set up easel style, with the picture on one side and the words for Mom to read on the other side. This design makes it really easy to let everyone see the gorgeous pictures! I really thought this book would work best if we did one page every day, but as soon as I finished the first page my daughter started clammering to see the next picture and listen to me read it. I actually used this in the car, while we were parked of course. We were waiting for my oldest daughter to finish ballet, and it turns out the book easel fits very nicely between the two front seats and all five kids in the car were able to see the picture! I had a ten year old, an eight year old, a six year old, and almost three year old twins. The book was most enjoyed by my three year olds, however it was the eight year old who asked for more, and no one was complaining. I thought the subject matter was most appropriate for my six and eight year olds. Also, you can download free coloring pages on-line to go with the lessons and my children were very excited about that! My Bottom Line: I enjoy the materials written by Ken and Mally Ham and this book is no exception. 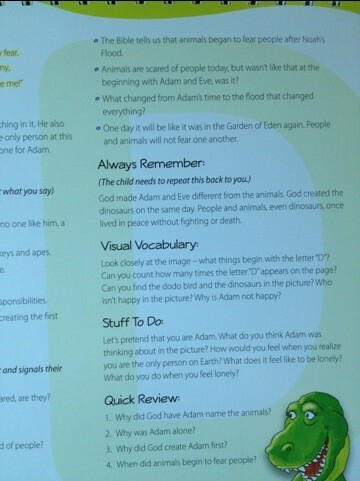 A is For Adam makes a nice Science read aloud activity to do with your children during circle time, story time, or even when you are waiting somewhere. The new edition is stunning. I do wish it had a hard cover for protection. 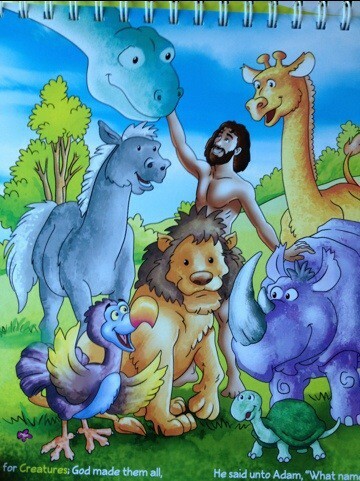 My children and I will definitely be enjoying this book! Disclosure: I received this book from New Leaf Publishing Group in exchange for an honest review on my blog. Here you have it.